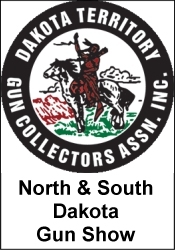 The Crossroads of the West Gun Shows are the among the largest with over 400,000 attendees and are amongst the largest and America's best. Gun shows offer hundreds of tables and meet the needs of anyone. You will be able to sell, buy and also trade. All federal, state and local firearm laws and ordinances must be followed. *** Please verify the show times and dates before attending the "Crossroads Las Vegas NV Gun Show", as they are subject to change. © 2019 by iGunShows all rights reserved.